The Dallas and Fort Worth areas typically experience mild winter, unlike the Northeast that can get buried in snow and ice between December and March. However, Texas is not immune this year. The Dallas News says a beastly cold season is on the way this winter, predicted by the Farmer’s Almanac, with “stinging cold” weather expected throughout Texas with exceptionally frosty conditions. This prediction appears in the 2019 edition calling for “teeth-chattering” cold with an arctic cold front bringing above-average snowfall and lower-than-normal temperatures after January 1. With this forecast in mind, we thought it would be prudent to spend this month’s blog on telling you about three common winter roofing problems you may encounter. These can all be remedied with the help of a professional roofer. When cold surfaces come into contact with warm air, condensation occurs. This holds true with your attic spaces too. If this space is improperly ventilated and insulated, it may be letting too much cold air seep in from the roof. This has a two-pronged effect: it makes your HVAC system have to work overtime, wasting heat. It can also cause moisture to build up inside your home. Condensation will form, leading to mold and small leaks that can result in wood buckling and drywall problems. While these issues are more prevalent in colder parts of the country, this area may see some ice dams and icicles forming when freeze-and-thaw conditions happen. 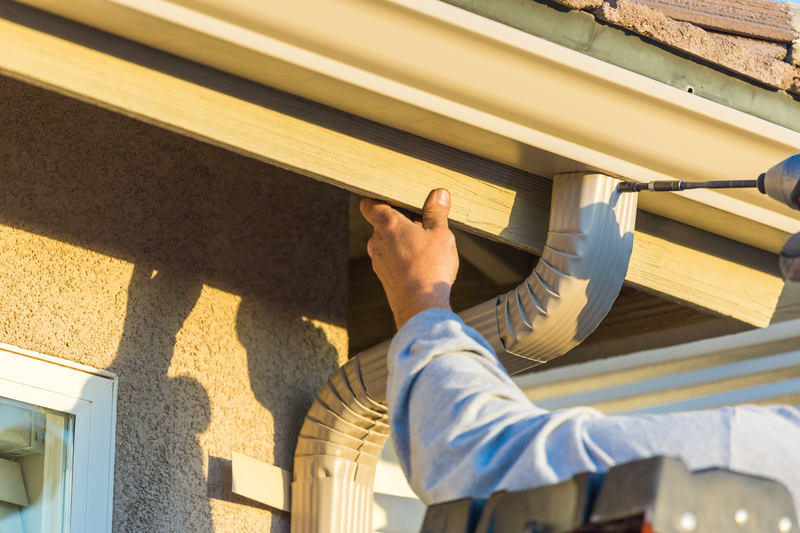 This can pose a hazard to those walking below your roof, but they’re even harder on your gutter system. If you have a heavy enough ice buildup forming on your gutters, they can bend or break. This situation is compounded when your gutters are filled with debris such as leaves and haven’t been cleaned in a while. Winter storms bring heavy winds, posing a danger especially to homes with heavy tree canopies that overhang the roof. Wind can blow shingles loose, pull apart flashing and rip aging gutters from the house. Tree limbs can fall and puncture your roof, leading to leaks and structural damage. Trim back any vegetation and overhanging tree limbs, which will prevent falls and punctures. This will also discourage critters from gaining access to your roof and thus your attic. If you need any roof repairs due to winter storms, please contact us today at 817-440-3767. Here at Ferris Roofing, we handle all residential and commercial roofing concerns, from repairs to re-roofs to new roofs.